BEIRUT (Aztag Daily)–The Lebanese government was urged Saturday by the three Armenian political parties to address the international recognition of the Armenian Genocide during scheduled meetings with Turkish Prime Minister Recep Tayip Erdogan who will visit Lebanon this week. 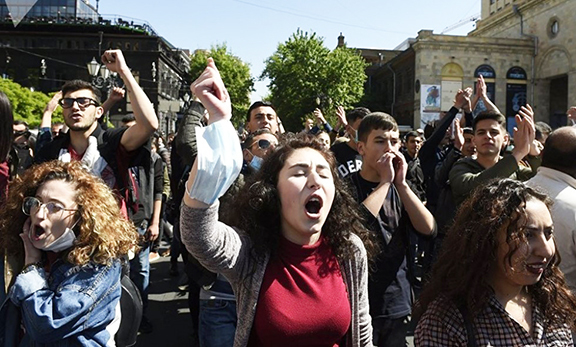 In a joint announcement the Armenian Democratic League (Ramkavar Party), the Social Democratic Hunchakian party and the Armenian Revolutionary Federation urged government officials to adhere to the provisions of a resolution adopted in May, 2000 recognizing the Armenian Genocide. The resolution condemned the Genocide and pledged the Lebanese government’s support for the just aspirations of the Armenian people and said the international recognition of the Armenian Genocide would ensure that such crimes against humanity would not occur again. Leaders of the three political parties met Friday to discuss Erdogan’s upcoming visit and voiced the community’s collective opposition to welcome the Turkish leader to Lebanon. The announcement also pointed out that Turkey has played a destabilizing role in the region, as well as its historic crimes against humanity should not provide it a role in the international peace keeping process in the Middle East.